Just back from Kalamaki and had to write a review of the Olive Tree as we enjoyed it so much. We were a family of 7 ranging from 66 to 6 and we all loved it. We were well looked after and not rushed to order or eat and we all agreed we had some fabulous meals there. We went twice during our stay. Its a nice restaurant which is usually busy but not too hectic. The staff were very attentive and helpful in choosing meals. Enjoyed food at the Olive Tree on many occasions. Lovely vibe to the place, busy but relaxed. Food is always good quality (not the best) but reliably good. Caters for many tastes & large menu. Daily specials etc. Been here tonight and came away with a stomach bug :( hubby and daughter ok but had different food. Not the best food we had in Kalamaki which is a shame as the service and ambiance was excellent, restaurant was busy with holidaymakers and also locals which is always a good sign, I think I was maybe just unlucky. They have excellent early bird offers too. We had starters, main and drinks for 3 coming to 37 euros. This restaurant served myself and my fiance our most disgusting meal of our 2 week holiday. I ordered sirloin steak and my finace ordered the salmon. You couldnt tell which was which when tasting as all you could taste on both was salt!!!!! Def would not go back there!!! 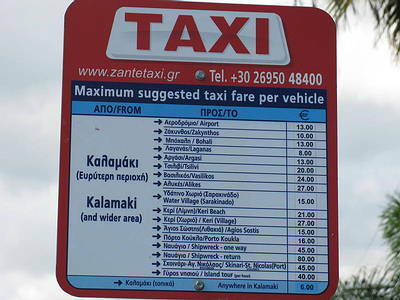 We have just returned from Kalamaki, and we went to the Olive Tree on several evenings. The service was excellent, and the food great. My son chose from the childrens menu and had plenty, also got a free ice cream, and the meals my husband and i ate were hot tasty and lots of it. We just had a main meal and drinks, and found we couldn't eat anything else, the one time we had a starter we were unable to finish or main course. Just got back from Kalamaki and must say The Olive Tree is by far the best restaurant in the resort. So good we ate there 5 times in the week. Food is to die for (particularly the Frygania dessert), portions are more than big enough, price is good and staff and atmosphere are amazing. Tracey and the guys was super helpful, friendly and in our case, with 3 kids in tow, patient ... We enjoyed the "eventful waterfall" lol, seems we were there for the worst rain in 25 years but the food more than made up for it. Would definately go back again so ignore the moaning minnies from other reviews and give it a whirl ... you wont be disappointed. This place is overrated. I got the chicken "special". The sauce was lovely but the chicken was criminally over done. Such a shame. My boyfriend got the gyros and you had to find the meat it was literally just a plate ful of fat. Also my sons meal (which came with the starter) was served cold. The chips were stone cold. Not impressed. The staff were unattentive and hard to get hold of, it took 25 minutes for us after finishing our meal to have our plates cleared away. One to avoid next time I think, but the setting is lovely. Me and My boyfriend just came back from Kalamaki a few weeks ago This was my 7th time and my boyfriends 2nd time here we only just found Olive Tree this time. And it was delicious. The Chicken Korma & Chicken Curry were so tasty and such huge meals. 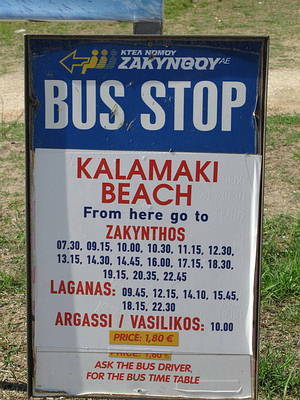 My boyfriend and I were in Kalamaki in October 2005 and really enjoyed the food in the Olive Tree. The Zakynthian beef was a favourite. We did come on this website in 2005 and left a message congratulating the Olive Tree for their food and service. I just want to write a wee message as the Olive Tree very kindly sent us a Christmas Card this year as well as in 2005. Hope you all have a very Merry Christmas and a Happy New Year. A big Hello to George, and the 2 Yanis. We visited this restaurant three times during our stay. Each time the food was very good; service was friendly and prompt. The chicken and beef stifado were tasty and memorable. This was our first time going here as we have never stayed that far down before. The food and staff where good but one meal the meat was alittle over done. But all in all it was a nice meal and we would go back again. Good restaraunt, varied menu, food was nice and staff were pleasnt. The meals we ate in here were great. The chicken burrito was lovely and they make an amazing ceasar salad. Service top notch and we always had a nice table. The queues show it is a good place to eat and the staff are very polite. Couldn't believe people actually queue to get in this restaurant! Its rubbish! Although we didn't have to wait for a table, the table cloth hadn't been changed from the previous diners and the service was poor. I ordered the Cod which had been nuked within an inch of its life, and could have doubled as a lilo! There are far more nicer palces to eat. We visited the Olive Tree for the first time and i have to say excellent service and food. We were seated instantly - and drinks served quickly, food arrived in excellent time. we have to say this was a disappointment. we didnt mind the delay to be seated, after all thats usually a good sign if so many people are waiting, especially in may. the chicken souvlaki was bland and tasteless, the other chicken dish was equally unmemorable. give it a try if you like, but there are other places we would recommend you try first. This is a great restaurant with friendly staff and tasty food. We ate here several times during our stay in Zante and were always welcomed warmly.